A high LDL cholesterol level is medically known as hypercholesterolemia. According to the Centers for Disease Control and Prevention (CDC), over one-third of American adults have high levels of LDL or “bad” cholesterol. This increases the risk of cardiovascular disease, including heart disease and heart attacks. Cholesterol falls under three categories: low-density lipoprotein (LDL), very-low-density lipoprotein (VLDL) that may need medications and high-density lipoprotein (HDL). LDL and VLDL are bad for your health, while HDL is good for your health. People of all ages, ethnicities and genders can have high cholesterol. Certain factors put you at a higher risk, such as excessive smoking, obesity, large waist circumference, poor diet, lack of exercise, hypothyroidism and diabetes. Most of these factors are within your control. Genetics is one risk factor that is beyond your control. 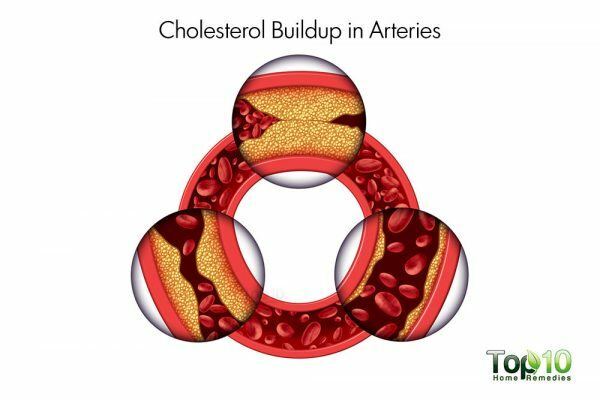 As high cholesterol does not present any symptoms, you need to get your cholesterol levels checked from time to time. If not controlled early enough, high cholesterol can lead to health complications like chest pain, heart attacks and strokes. By making changes to your diet and lifestyle, you can lower your cholesterol. Several foods can help keep your cholesterol at healthy levels. 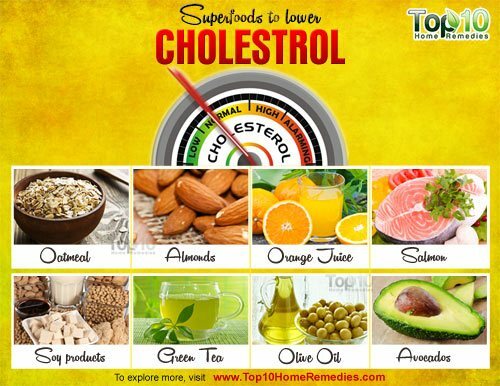 Here are the top 10 superfoods to lower cholesterol. Having a bowl of oatmeal for breakfast daily is another easy way to lower your high cholesterol level. The high soluble fiber content in oatmeal helps lower LDL. It reduces the absorption of cholesterol into your bloodstream. Fiber also fills you up quickly and helps you avoid mindless eating. In addition, eating oats regularly is associated with a reduced risk of cardiovascular disease and Type 2 diabetes. Eat a bowl of oatmeal for breakfast daily. You can also add oatmeal to smoothies or use it in baked goods. The heart-healthy monounsaturated fats, polyunsaturated fats and fiber in almonds help raise good HDL cholesterol and reduce the bad LDL levels. A 2011 study published in Nutrition Review found that consumption of tree nuts like almonds help reduce LDL cholesterol, a primary target for coronary disease prevention, by 3 to 19 percent. In addition, a 2015 study published in the Journal of American Heart Association states that daily almond consumption may be a simple dietary strategy to prevent the onset of cardio-metabolic diseases. Almonds are a great snack or topping for salads, cereal and yogurt. Eat a handful of almonds a day and remember moderation is key. Other nuts and seeds such as walnuts and flaxseeds are also beneficial for reducing blood cholesterol levels. Sweet, tangy and juicy oranges are another superfood that has cholesterol-lowering properties. In a 2000 study published in the American Society for Clinical Nutrition journal, researchers found that orange juice improves blood lipid profiles in people who have hypercholesterolemia. This happens due to the presence of vitamin C, folate and flavonoids like hesperidin in oranges. Drink 2 to 3 cups of orange juice daily. Freshly extracted juice is a good option. You can also drink plant sterol-fortified orange juice. Phytosterols also help lower total cholesterol to some extent. Alternatively, you can eat a few oranges daily. The omega-3 fatty acids called EPA and DHA found in salmon provide protection against high cholesterol. It helps lower triglycerides and boosts good HDL cholesterol slightly, thus lowering the risk of heart disease. In addition, salmon is low in cholesterol and saturated fat. Eat at least 2 servings of salmon each week. Baked and grilled salmon are the best options. A serving of salmon is about 2 to 3 ounces. You can even take fish oil supplements after consulting your doctor. Soybeans and other soy products offer a complete plant-based protein that is great for those who suffer from high cholesterol. Although soy may not lower total cholesterol to a great extent, it can still lower bad LDL cholesterol. This high-protein food contains high levels of polyunsaturated fats, fiber, vitamins and minerals as well as low levels of saturated fat. A study published in 2011 in the Journal of American College of Nutrition found that eating 1 to 2 servings (15 to 30 grams) of soy protein daily has a significant impact on serum lipoprotein risk factors for coronary heart disease. To help lower your cholesterol, include more soybean, tofu, soy flour, edamame and enriched soy milk in your diet. 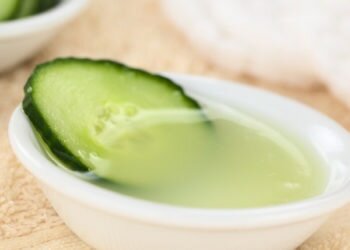 Drinking a few cups of green tea daily is one of simplest ways to reduce total and LDL cholesterol levels. Green tea intake lowers fasting serum total and LDL cholesterol in adults, according to a 2011 meta-analysis of 14 randomized controlled trials that was published in the American Journal of Clinical Nutrition. There are several compounds in green tea that prevent the absorption of cholesterol in the digestive tract and aid in its excretion. In addition, this healthy beverage prevents plaque buildup in the arteries and reduces the risk of having a heart attack or stroke. Drink 3 to 4 cups of green tea (hot or iced) daily. You can also take green tea supplements, after consulting your doctor. Olive oil is high in monounsaturated fat that helps lower bad LDL cholesterol levels. This is turn lowers the risk of heart disease and stroke. In addition, it is rich in vitamin E, an antioxidant that is good for your heart and overall health. 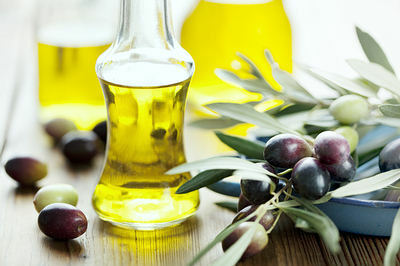 Use 2 tablespoons of extra-virgin olive oil daily as a replacement for less healthy oils. You can use this oil to sauté vegetables, make salad dressing or as a dip for bread. Note: As olive oil is high in calories, avoid excessive use. 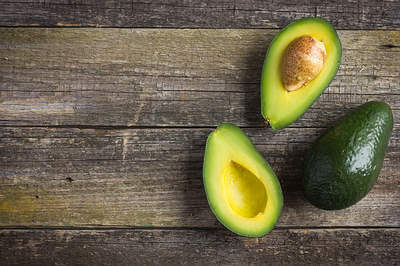 Avocados are a good source of monounsaturated fats that can help reduce LDL levels in people who are overweight or obese. Monounsaturated fats also help raise HDL levels. Avocados also contain plant sterols that have cholesterol-lowering properties. In addition, they are rich in protein, fiber, B-complex vitamins, vitamin K and several minerals that are good for your overall health. Eat an avocado daily. You can add avocado slices to salads and sandwiches or eat them as a side dish. Garlic is another superfood that can help reduce high cholesterol. In addition, it prevents blood clots, reduces blood pressure and protects against heart disease. 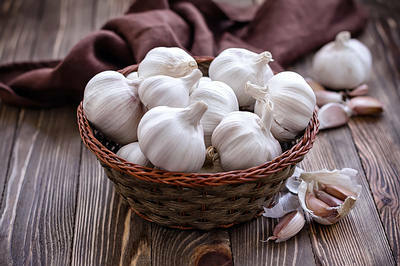 According to a 2013 press release from the National Institute of Integrative Medicine, garlic extract is a safe and effective alternative to pharmaceutical blood pressure and cholesterol-lowering medications for many people. Eat 2 to 3 raw garlic cloves on an empty stomach daily. Use fresh garlic in your salad dressings and in cooking many types of dishes, soups and stews. You can take garlic supplements after consulting your doctor for the correct dosage. 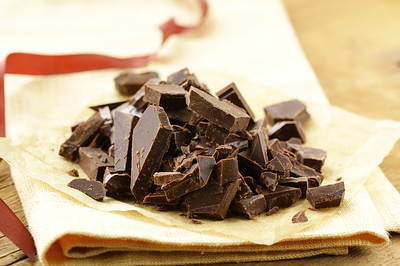 Dark chocolate can also effectively reduce bad cholesterol and improve the level of good cholesterol in the blood. According to a 2013 study published in the American Journal of Clinical Nutrition, the component theobromine in dark chocolate is mainly responsible for its HDL cholesterol-raising effect. The high level of antioxidants and flavonoids in dark chocolate prevent blood platelets from sticking together and keep the arteries unclogged. This in turn reduces the risk of heart attacks or strokes. Eat 1 or 2 small pieces of dark chocolate with at least 60 percent cocoa on a regular basis. Avoid alcohol. If you drink, do so in moderation. Eat a diet low in saturated fats. Avoid fried or fatty foods and excessive carbohydrates and processed sugars. Avoid foods that contribute to bad cholesterol, such as red meat, full-fat dairy products, egg yolks and processed foods. Really it making awareness on all healthy factors so kindly keep on doing this…. Thanks for useful suggestion and awareness. vv useful tips .. really appreciate 4 sharing. Thank you so much. And l hope you keep me posted of your latest info. Very good informations for me . Pomgrenate is more powerful than orange to lower Cholesterol…Must drink it daily on empty stomach❗❗? Please tell me a substitute fruit for Avocadoes. Avocadoes are not found in India. Thank you for he tips! Thank u for everything what u have explained about cholesterol & diabetics. Thanks a lot what you have mentioned about bad & good cholesterol. thank you very much for providing valuable tips. This is very important to me. Good session. Thank you so much for very useful tips and information!